Home »From our Blog»Is There A Better Approach To Efficiently Design Industrial Equipments & Machinery? Industrial equipment and machinery manufacturers consistently deal with the faster changing market that demands reduced development time, faster time to market and less operational costs. To compete better in the market and meet the market challenges, it is crucial for them to adopt right product development systems. 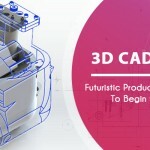 The slow and difficult 2D working environment is one of the major factors that influence manufacturer’s competitiveness in the market and hence; the transition to 3D is essential today to ensure efficient design of industrial equipment and machinery. The industrial equipment and machinery industry comprises of two categories; one where the equipment is designed completely from scratch based on customer specific requirements and the other where standard machines and equipments are manufactured in volumes with different sizes, configurations and capacities. 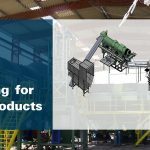 While the former approach is more specific, the equipment or machine cannot be reused easily and is only suitable for one specified application. It is thus common to find manufacturers that often follow the later approach, as it provides ample opportunities to reach more customers with existent manufacturing capabilities. It is thus critical to determine the importance of product development systems with this approach, to better understand the impact of implementing 3D systems in the design process. At conceptual stage, it is crucial to visualize the concept properly to ensure proper communication. With SolidWorks, it is possible to visualize concepts in 3D, enabling interactive communication between customers and marketing teams. With 3D conceptual models, manufacturers can gain important feedback that can be utilized to integrate intelligence right from early development stages and subsequently improve the product quality. SolidWorks allows creating 3D mockups, photorealistic renderings and animation along with 2D drawings that can be utilized by designers and engineers to understand design intent of machines and equipments more accurately. Eventually, the need for developing real physical prototypes is reduced at the conceptual stages. With powerful sketching and modeling tools in SolidWorks, developing parts and subassemblies is quick. The SolidWorks Intelligent Feature Technology (SWIFT) enables expert level 3D CAD modeling with short learning curve. 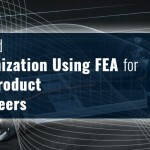 The conceptual model can be transformed to a production ready part with greater accuracy using collision detection tools that help the design engineer in detecting part collisions and interferences in case of assemblies. Further, any change, addition or removal of parts in the assembly is automatically updated in BOMs, ensuring error free manufacturing documentation for shop floor personnel. Features like weldments, sheet metal and electrical wire routings further helps in speeding up the design detailing. The intuitive 3D SolidWorks platform also helps in minimizing or at times eliminating prototyping completely. With advanced features, interference checks, assembly issues and structural design problems can be assessed virtually without manufacturing a prototype for physical examination. ToIAnalyst is one such tool that helps in performing tolerance stack up checks, so that manufacturers can understand where to tighten or loosen the tolerance values in case of mass production. SolidWorks Motion feature further enables simulation of dynamic operation of the machine or mechanism and helps in sizing motors, actuators as well as determining power consumption. With SolidWorks Simulation, the product design can be tested virtually for structural integrity, stress, strain and deformation using finite element method. As such, this 3D system helps in developing virtual prototype rather than a 3D CAD model. 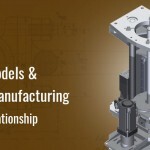 The models developed in 3D can be utilized directly to generate assembly and manufacturing drawings ensure efficient communication at the production department. Further with animated assembly instructions, images and illustrations, interactive marketing materials can be developed to engage customers with the product they are buying. 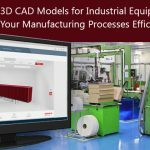 Meeting the consistently growing competitiveness in the industrial equipment and machinery manufacturing market require manufacturers to shed the conventional 2D environment and shift to 3D product development processes. 3D systems like SolidWorks provide all the tools required to seamlessly transition 2D workflows to 3D, so that manufacturers can ensure productivity gains and better returns on investment. 3D environment also lowers development cost and reduces possibilities of design errors, eventually improving the product quality, customer satisfaction and profit margins.